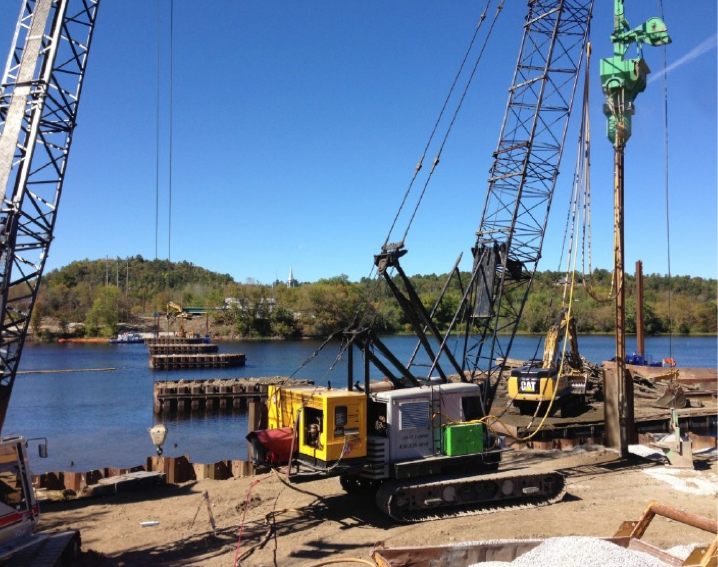 Geopac utilized two Vibro Replacement workshops to achieve the project specifications according to the project’s schedule proposed by MTQ. 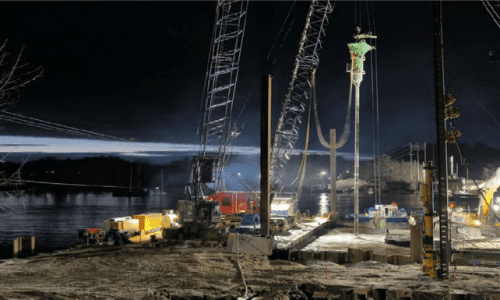 Geopac was awarded by Pomerleau to improve by means of Vibro Replacement the foundation soils over an area around 3,000 m2 for the future Northfield Bridge crossing the Gatineau River in Gracefield, Québec. A very loose to loose grey-brown layer of Sand / silty Sand having a thickness between 4 to 8m. A very loose layer of grey silt with traces of sand and clay with a thickness of 3 to 15m. A layer of stiff clayed silt having a thickness of at least 14m. Very dense granular material overlying rock located between 37 to 125m deep. 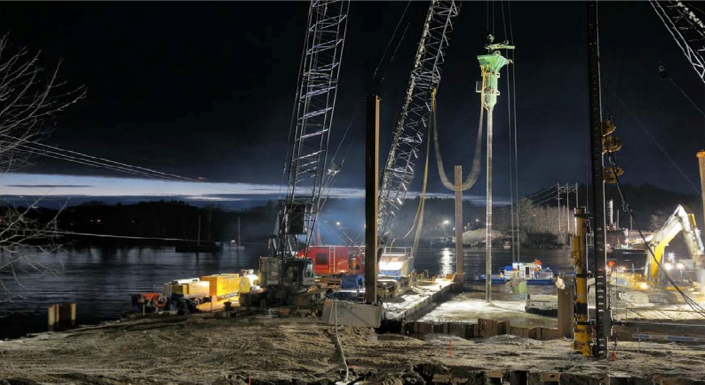 A corrected standard penetration index N1(60)cs of 20 (piers) and of 10 (abutment) taking into account the presence of stone columns down to the reinforced depth (varying between 6.55m to 9m depending on the location). 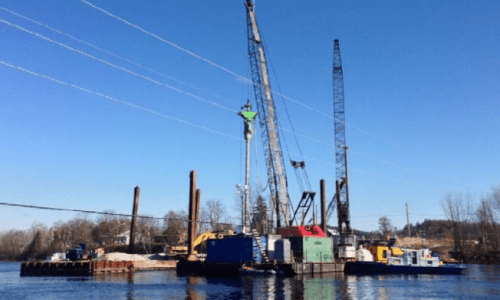 One dry-method Vibro Replacement workshop on land working dayshift and two workshops working 24h a day on barge allowed the treatment of piers and abutment in 2013 ahead from initial schedule. 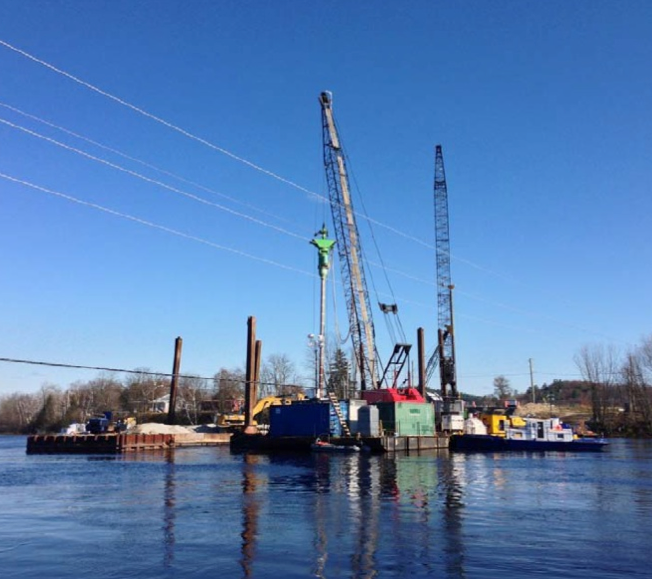 The treatment from barge was challenging due to the limited workspace and because of nearby electric and network cables crossing the river. 18 standard penetration tests (SPT), 2 cone penetration tests (CPT) and 11 laboratory cyclic or static direct simple shear tests were performed. 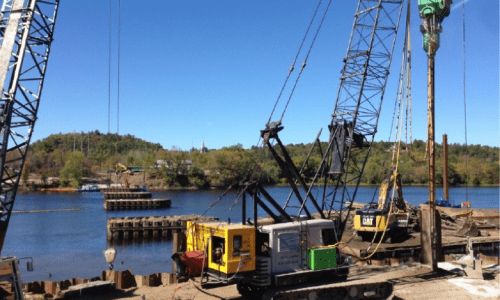 An analysis based on direct simple shear tests (DSS) results showed that treated area by Vibro Replacement was not liquefiable under the design reference earthquake.